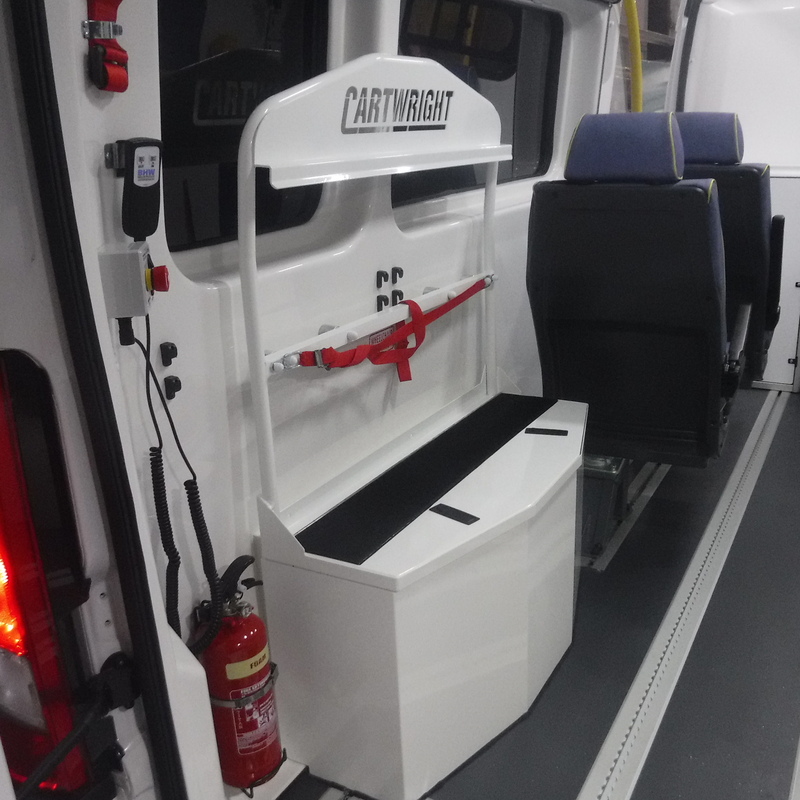 Our high dependency vehicles are designed to transport non-critical patients who require movement between hospitals or GP referrals. 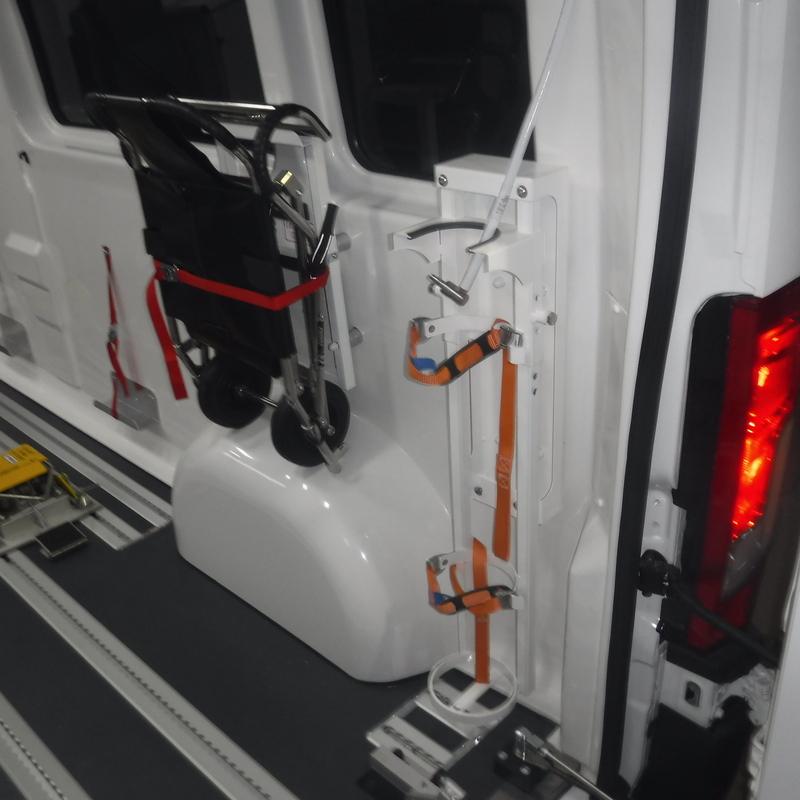 These stretcher-capable PTS vehicles have a solid bulkhead for patient privacy and the safety of the passengers and crew in transit. 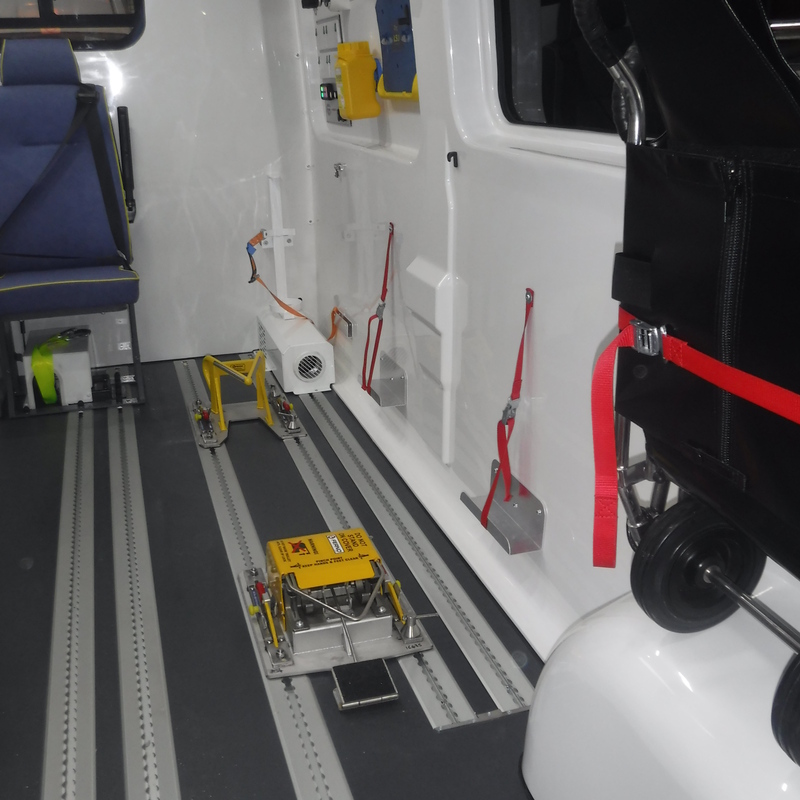 Fitted with blue lights and sirens, Cartwright’s high dependency vehicles can react quickly in emergency situations. Built on a chassis of your choice, you can configure elements of the vehicle’s layout and specification to suit your individual requirements. 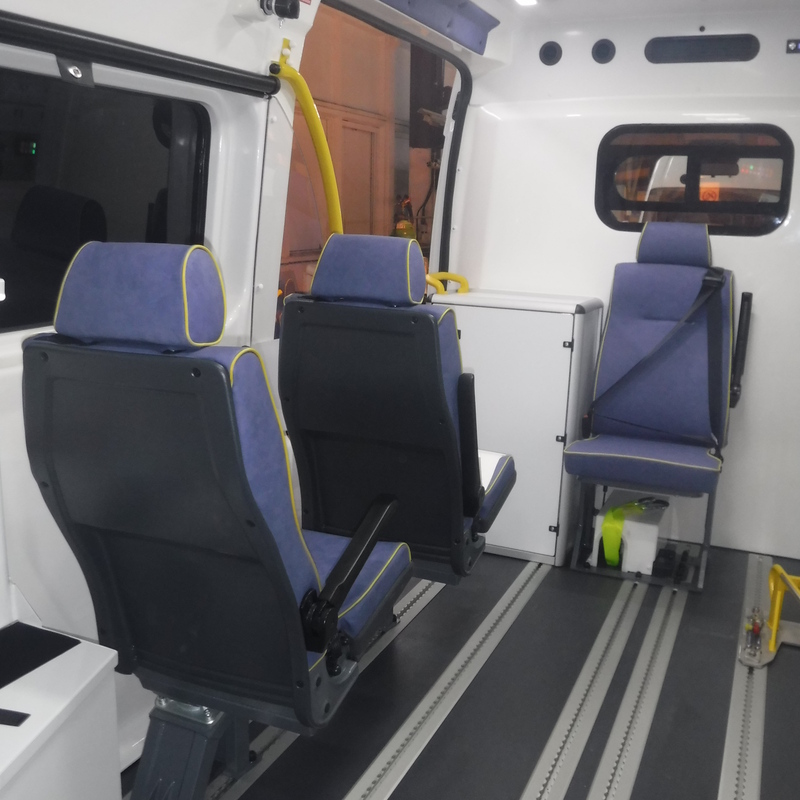 However you choose to configure its seating this modern ambulance has ample space for passengers and storage for life-saving equipment.